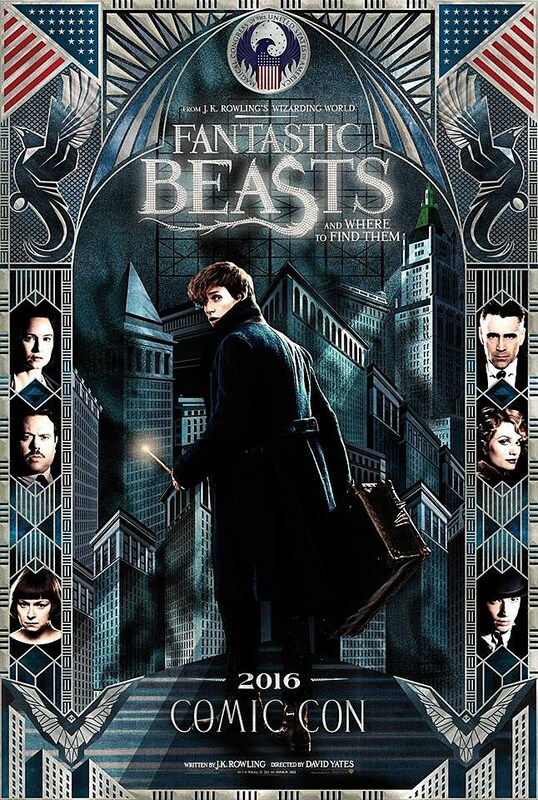 Not to be outdone by Wonder Woman and The LEGO Batman Movie, Fantastic Beasts and Where to Find Them has also gotten its own special poster for Comic-Con 2016 — what, you didn’t really think the first film in a new Harry Potter spinoff trilogy would appear in Hall H without debuting a new poster, did you? In any case, the new poster is definitely in the spirit of Comic-Con, and it looks like something you might actually want to display on your wall. That color scheme is also evocative of the various posters released for Harry Potter and the Deathly Hallows, which is likely no coincidence given that the two-part finale was helmed by Fantastic Beasts director David Yates. The new film marks the screenwriting debut of Harry Potter author J.K. Rowling, who has already reportedly completed work on the script for the sequel. We’ll probably see and hear a lot more about Fantastic Beasts and WB’s trilogy plans during tomorrow’s panel in Hall H.